Google has finally added Google+ Pages feature in their social network which allow brands, products, companies, businesses, places, groups, and everyone else to establish a presence on the service. 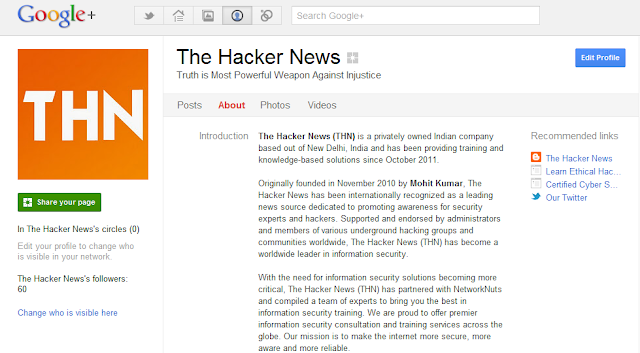 We've gone ahead and set up our very own 'The Hacker News' Google+ page for all of our Readers . How you can help us to Grow Us ? Use "Share This Page" button available below the profile picture to share THN page with your friends and Family. Add THN in your Circle Now !